SIG Sauer is touting their seemingly contradictory P365 High-Capacity Micro-Compact as a game changer. It is designed primarily for concealed carry. This model has been met with a lot of anticipation, both from SIG fans who are going to like it no matter what and from SIG haters who can’t wait to talk about what’s wrong with it. Rob Pincus admits he was skeptical of the SIG Sauer P365 before he tried it. He expected the grip, which is short relative to the weight and mass that is above the hand, to make the gun snappy — not his favorite type of carry gun. He prefers a longer barrel than the P365’s 3.1 inch-barrel and a grip that fills the hand better, though the extended magazines that are available help mitigate this. His everyday concealed carry handgun has a longer barrel but it’s still easy to conceal when carried inside the waistband. Included standard with the SIG Sauer P365 are XRAY3 Day/Night sights that Rob finds good and usable, a 10-round flush fit magazine, and a 10-round extended magazine. 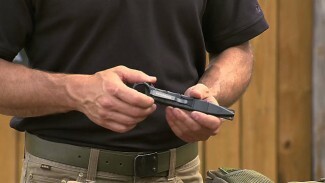 An optional 12-round extended magazine lets the shooter bring the total capacity to 13 rounds. 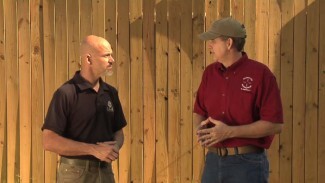 This video shows the first shots Rob has ever fired from the SIG Sauer P365. He likes the trigger a lot. 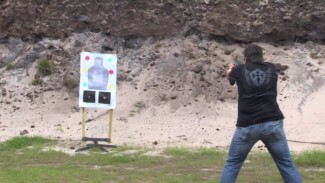 As he expected, Rob has to bear down on the P365 to manage the recoil, and follow-up shots are relatively slow. The SIG Sauer P365 feels better than Rob expected, he likes the trigger, and it’s easy to shoot well. He believes a lot of people will want this as their everyday carry gun and for handgun training just because it’s a SIG, which in his opinion is not a really good reason to choose it as a carry gun. But if you find that it fits the way you’re going to carry and the way you’re going to shoot and that you shoot it well — those are all good reasons to choose the SIG Sauer P365 as your carry gun. I have the p 365, and my hands are wider than yours. The 12rd mags definitely improve the handling of the pistol. With both of the 10rd mags I have pinky dangle, but the 12rd mag eliminates that and I actually have better control of this pistol than I do the P320 sub-compact with the standard 13 rd mags. I have to use 15rd mags with a spacer to get the same pinky hold. Did the slide not lock back on the last shot? Hi Uriah. The slide did not lock back after the last shot. This wasn’t because of a problem with the gun but Rob’s thumb was resting on the slide lock lever.